Cardinal Moran’s agenda both within the Church and across public life soon became clear. In 1896 he published a thousand page history of the Catholic Church in Australasia. Cardinal Moran’s impact had moved the Church in Australia from irrelevance and non-entity into the recognised periphery of international Catholicism.Cardinal Patrick Francis Moran was Archbishop of Sydney from 1884 (Cardinal from 1885) until his death in 1911. He was a natural leader with a vision, determination, ability and energy to realise the construction of the Seminary. 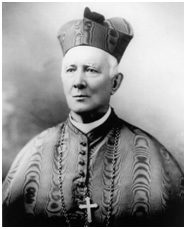 Irish born, trained in Rome and from 1872 a Bishop in Ireland, Cardinal Moran was a widely published scholar of Irish history, an experienced administrator and a highly acclaimed Church authority. Tall (6’3″), aloof and reserved, he projected formidable confident talent. He had a firm and ambitious agenda for his Australian Church, extensive inside experience of the Roman clerical bureaucracy and close contact with the key figures in the power structures of the Vatican and the Irish Church. Cardinal Moran’s agenda both within the Church and across public life soon became clear. In 1896 he published a thousand page history of the Catholic Church in Australasia. Cardinal Moran’s impact had moved the Church in Australia from irrelevance and non-entity into the recognised periphery of international Catholicism. Soon after his arrival he indicated his primary need: ‘I would require forty additional priests for the work of this Diocese’. 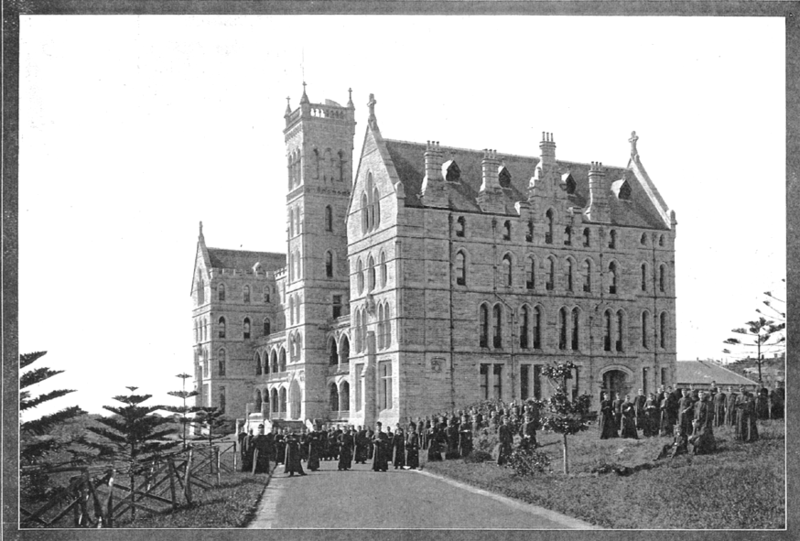 To some small and diminishing extent this could be met from Ireland itself, but an Australian seminary was vital and urgent. Cardinal Moran’s pattern for the Australian priest endured – Australian born, of Irish descent, largely Australian trained, but with a Roman gloss. The Australian priesthood introduced by Cardinal Moran was to grow rapidly, particularly after his death in 1911. 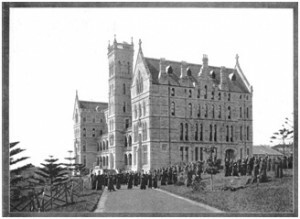 It was this Australian thinking that was central to Cardinal Moran’s immediate construction of St Patrick’s College. Cardinal Moran saw it as a basic element in the fulfilment of his vision of an Australian Church – the institution needed to staff it adequately and properly. Cardinal Moran’s notion of St Patrick’s College was that it embody much more than the obvious practical role of education – he believed the Australian Church itself should witness in the College, a style and dignity appropriate to the best in European culture and civilisation. Although Cardinal Moran’s personal life was frugal, he had been brought up in the religious grandeur of Rome to hold that the Church’s public buildings should aspire to reflect to the world the splendour of its spiritual ambitions. St Patrick’s would also house students and would be a lighthouse of scholarship in the learning and publications of its professors, the books of its library and the atmosphere generated by its studious discipline. In keeping with this vision, the first projects commenced at the behest of the new Archbishop in 1884 were edifices which proclaimed to a new colonial world their links to an ancient Christian civilisation. The episcopal residence and an ambitious seminary were to reflect the grandeur of ecclesiastic architecture; ornate structures on a noble scale. In 1859, NSW Parliament provided Catholics 60 acres of land on the then remote North Head Reserve, for a Catholic episcopal residence. But neither Archbishop John Bede Polding (1794-1877) nor Archbishop Roger William Bede Vaughan (1834-1883) did anything to use the land. It remained vacant, subject to the condition that an educational institution be built on the site. On his arrival to Sydney in 1884, Cardinal Moran acted within the month to visit the property. He saw its possibilities immediately and within weeks had called for tenders both for a seminary and an episcopal residence. Work began during June 1885. The foundation stone was laid and blessed on 19 November 1885 and on 23 January 1889 the opening ceremony was conducted. The magnificent structure cost 70,000 pounds to build. The builder was W H Jennings. Cardinal Moran was clearly identified as the driving force behind its construction, with his mark embedded in various architectural and other details, notably the use of his initials and regalia in various carved and cast panels. The formal setting of the Estate’s buildings consisted of the terrace with gravel driveway and lawns, the revetment wall, steps and the associated pathways, and the main driveway lined with Norfolk Island Pines. The remainder of the site was heathland and was cleared for agricultural purposes to support the Seminary. Cardinal Moran had placed the domestic tasks necessary to sustain the Seminary – cooking, laundry and the like – in the hands of male lay stewards. In 1926, Archbishop Kelly engaged the Sisters of the Order of Our Lady Help of Christians (the Sisters) to undertake these tasks. 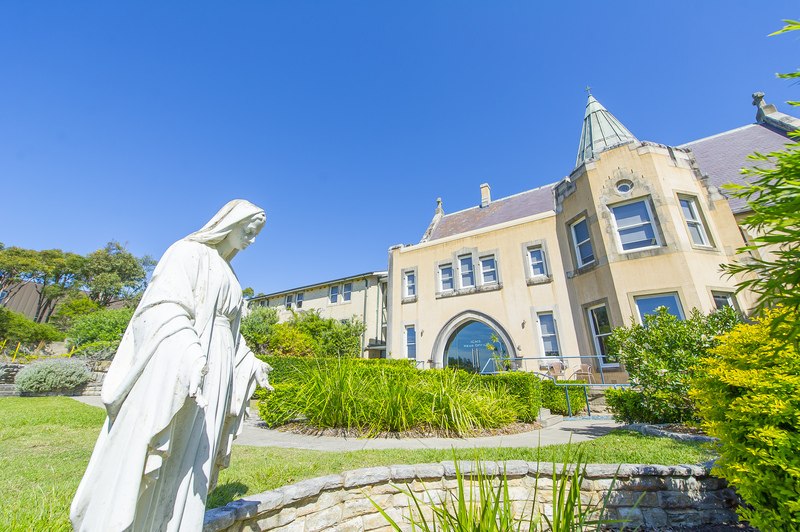 From 1934, the Sisters were accommodated in St Theresa’s Convent, built as a generally harmonious adjunct to the kitchen wing of the main Seminary building. The remaining members of the Order happily occupied the Convent until 1995.